Should I Get a Healthcare Administration Degree Online? Although having a bachelors in healthcare administration is not an absolute necessity to work in the exciting field of healthcare, a college that offers an online health administration bachelors degree program may be one of the best things that you hear about in 2018. It can provide you with a flexible and practical way to achieve an online bachelor’s degree in healthcare administration that will qualify you for better jobs that are often higher paying, more interesting, as well as providing greater growth potential. Central Christian College of Kansas’ Bachelor of Science in Healthcare Administration program goes the extra mile to offer the personal flexibility that you need to grow in your healthcare career. 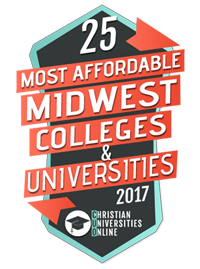 Not only is the online bachelors degree in healthcare administration 100% online, Central Christian College offers multiple start dates through the year for you to choose from and the ability to log on whenever you like. You can transfer previous college credits and apply them toward your online healthcare administration degree as well, which helps you to earn your bachelors in healthcare administration faster. Faculty who teach courses in the healthcare administration degree online program at Central Christian College of Kansas are invested in building the next class of professionals who acquire a bachelors in healthcare administration, integrating a faith-centered perspective with the realities of working in a secular society. With an online healthcare administration bachelors degree, doors can open to healthcare roles that encourage advancement to more senior roles. These include clinical manager, outpatient care supervisor, manager of a medical practice, or positions that encompass health information management - all of which are some of the rewards of obtaining your online healthcare administration degree. Having a bachelors in healthcare administration leads to healthcare opportunities at a time when dramatic changes are occurring in healthcare, and learning online has many benefits that augment that knowledge. The online healthcare administration degree utilizes multimedia formats that include instructional videos, online tutors, digital guides and group discussion. You can access your class at any time from almost anywhere that has an internet connection, providing much-needed flexibility as you work towards your Bachelor of Science in Healthcare Administration. A healthcare administration degree online can pave the way to earning a higher salary. With a median salary of $94,500, healthcare administration roles are part of an exciting growing sector. The field of health services management and medical management will grow more quickly that the average of other occupations, and a 17 percent growth is projected between now and 2024. Having an online bachelor’s degree in healthcare administration is a wise choice for healthcare administration professionals seeking growth in knowledge, critical thinking skills, and remunerative rewards. It’s not every day that opportunities come along to advance in such a fast-growing field as healthcare. And there is no better way you can become prepared for a rewarding and lucrative career in healthcare administration management, as by acquiring an online healthcare administration degree. Be one of the lucky ones and get prepared! Check out the start dates for Central Christian College of Kansas’ Bachelor of Science in Healthcare Administration program today!